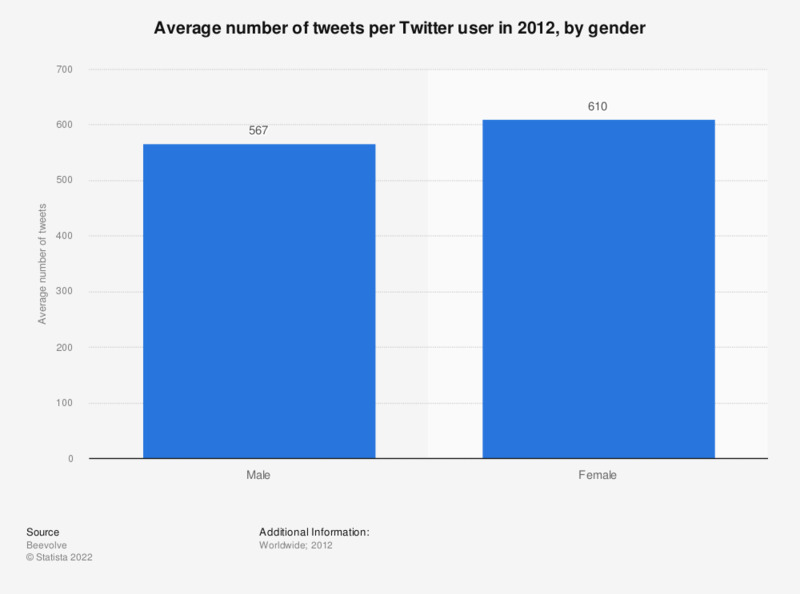 This statistic shows the average number of tweets per Twitter user in 2012, as differentiated by gender. Through a study conducted by Beevolve it was found that female Twitter users posted more often and on average tweeted 610 times on the micro blog throughout that year. How often do you pay attention to trending topics on Twitter? Do you still pay attention to trending topics on Twitter when they are marked as promoted?